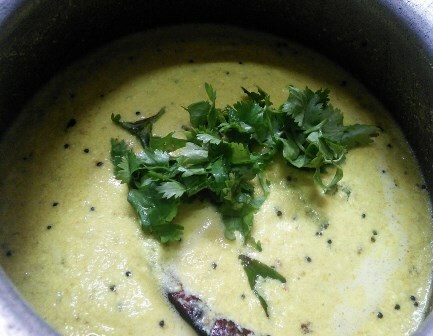 This mor kuzhambu is an easy traditional kuzhambu from South India made with butter milk. 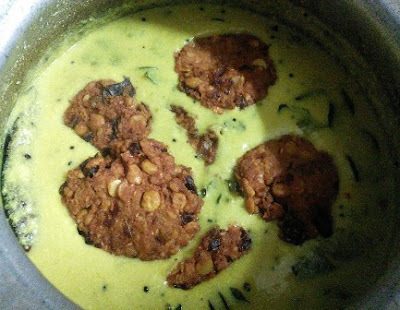 We prepare, the mor kuzhambu with any vegetables very often, and this mor kuzhambu with paruppu vada is our family favourite. This mor kuzhambu is such a simple dish that you can prepare within 15 minutes. 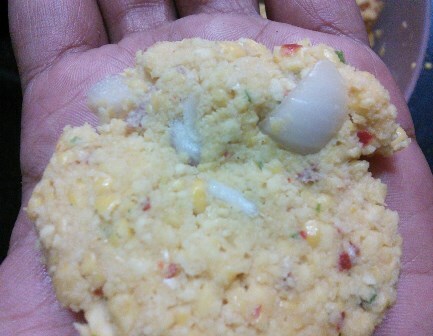 I used homemade paruppu vada for this kuzhambu so it takes around 25 minutes. Always try to use a well beaten curd. For a smoother curd, you can blend the curd in a mixer jar or you can whisk it with the butter churner. 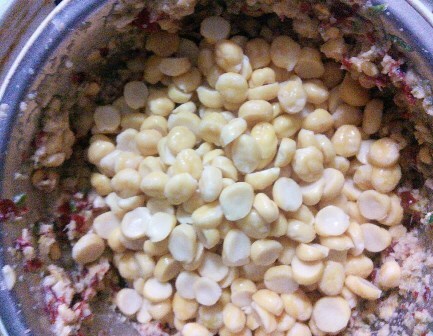 Fresh homemade curds works good for this kuzhambu. This kuzhambu can be easily doubled for bigger batches. 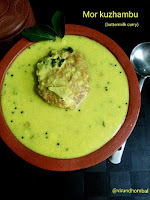 This mor kuzhambu is an easy traditional kuzhambu from South India made with butter milk. 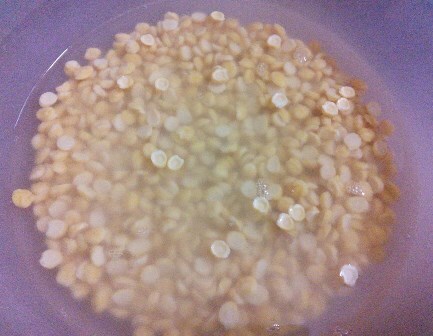 Wash and soak the chana dal for 2 to 3 hours. After 3 hours, drain the water completely. Take a small chutney jar and add the red chillies, green chillies, red chillies and just 1 spoon soaked chana dal. Add little water and grind the chillies. 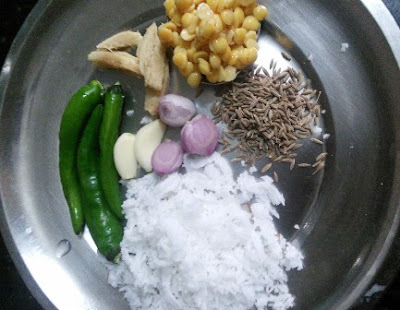 Add the remaining dal (keep few soaked dals aside) and grind it coarsely without any water.Transfer the ground batter to the mixing bowl and add the chopped onions, curry leaves, required salt and asafoetida powder. Mix them well. Heat oil in a frying pan. Take small lemon sized balls and flatten it with your palm. Gently drop it in the oil. Repeat the process. After a few minutes, gently turn the vadas. Fry them till the vada turns crisp. Take a wide vessel and add in the curd. 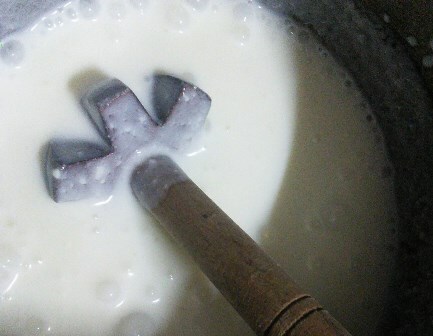 Place the buttermilk churner in the curd and churn them until well blended. Add the turmeric powder, asafoetida and required salt. Mix them well. Grind the coconut, green chillies, soaked toor dal, cumins, ginger, small onions and garlic cloves smoothly. Now add this ground coconut paste to the buttermilk. Heat oil in a pan and add the fenugreek, dried red chillies. When it sizzles, add the mustard and urid dal. Allow them to crackle and add the onions and curry leaves. Saute it for a second and add it to the buttermilk. Now keep the kuzhambu on very low heat. Do not increase the heat because the buttermilk could easily curdle on. When you see the frothy layer on the top of the kuzhambu, turn off the heat. Finally, add the coriander leaves . Do not close the kuzhambu when it is hot. When the mor kuzhambu has cooled down add the vadas one by one. Close it with the lid for 2 hours so that the vadas can be soaked well in the kuzhambu. 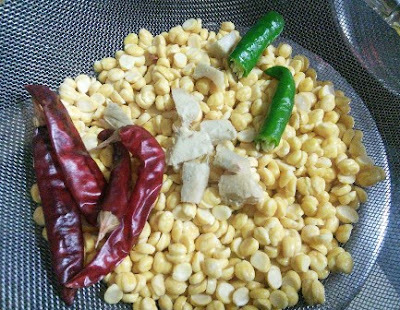 Wash and soak the chana dal for 2 to 4 hours with 2 cups of water. After 3 hours, drain the water completely using a strainer. 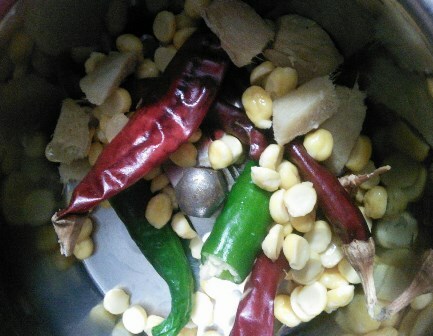 Take a small chutney jar and add the red chillies, green chillies, chopped ginger and just 1 spoon soaked chana dal. Grind it with little water. Add the remaining dal (keep few soaked dals aside) and grind it coarsely without any water. 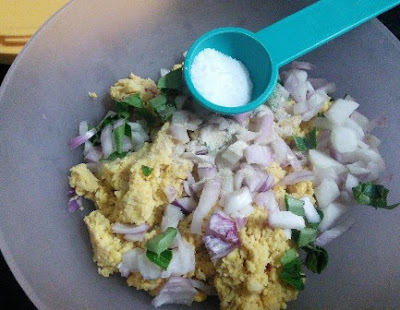 Transfer the ground batter to the mixing bowl and add the chopped onions, curry leaves, required salt and asafoetida powder. Add the few soaked dals. Heat oil in a frying pan. Take small lemon sized balls and flatten it with your palm. Gently drop it in the oil. Repeat the process. After few minutes, gently turn the vadas. Fry them till the vada turns crisp. Take a wide vessel and add in the curd. Place the butter milk churner in the curd and churn them until well blended. You can also beat the curd in a big mixer jar. 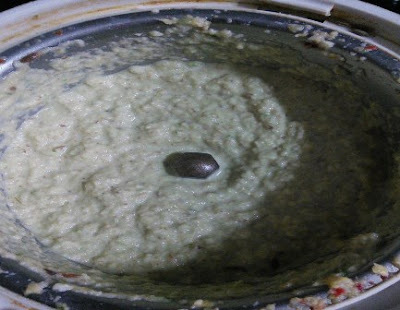 (Do not add more water when beating the curd). Add the turmeric powder, asafoetida powder and required salt. Mix them well. 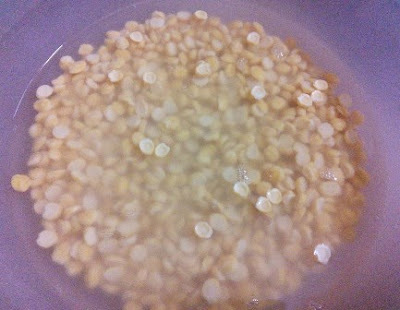 Soak the toor dal for 20 minutes and drain the water. Peel the garlic cloves, small onions and chop the ginger. 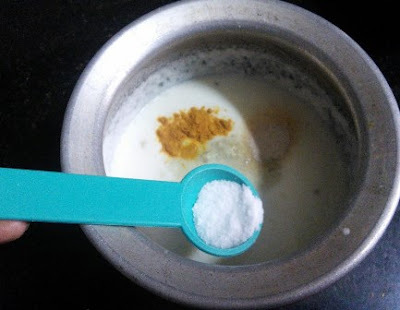 Now add this ground coconut paste to the butter milk. Heat oil in a pan and add the fenugreek, dried red chillies. When it sizzles, add the mustard and urid dal. Allow them to crackle and add the onions and curry leaves. Saute it for a second and add it to the butter milk. Now keep the kuzhambu on very low heat. 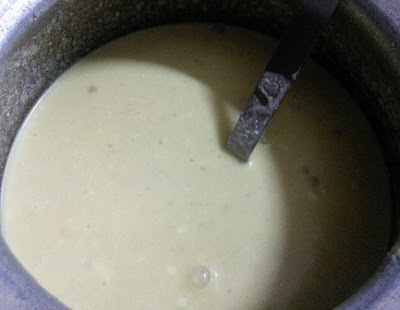 Do not increase the heat because the butter milk could easily curdle on. When you see the frothy layer on the top of the kuzhambu, turn off the heat. 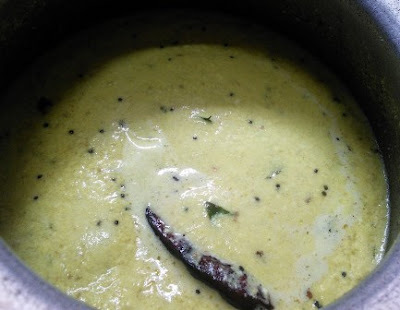 Do not close the kuzhambu when it is hot. When the mor kuzhambu has cooled down add the vadas one by one. 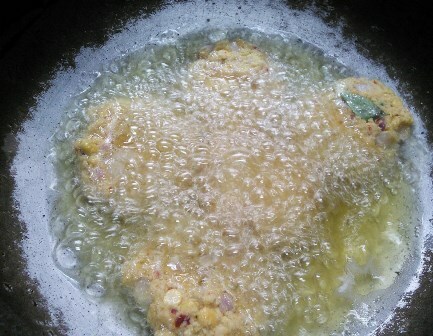 Close it with the lid for 2 hours so that the vadas can be soaked well in the kuzhambu. 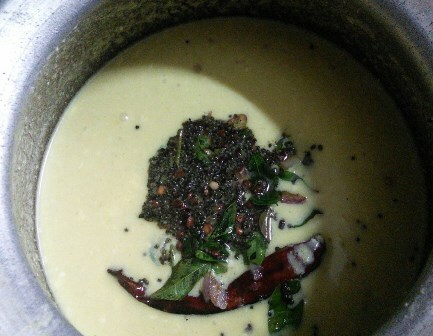 Enjoy the mor kuzhambu with warm rice and with any poriyal or kootu. If you try this recipe for mor kuzhambu send us your comments below and share the recipe for your friends and family.